I'm a recent convert to belts and am enjoying how they bring an outfit together and emphasise the waist - good if you are a pear or hourglass shape. Today I'm sporting my brown obi belt and you'll have to excuse the photo. You see, I was posing for my 8 year old and just as we'd got the shot all set up beside the only daffodil in the garden, I had to rush into the house to the latest twin emergency! But it's a good enough representation of what I've got on today as we didn't get a chance to re-shoot! 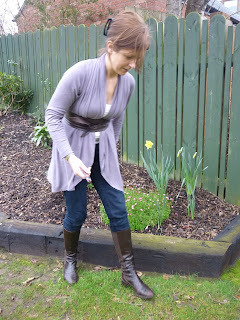 I'm wearing my favourite mauve Episode waterfall cardigan (similar) with a cream H&M vest underneath, my trusty H&M navy skinnies and brown Hobbs boots. The weather's not been as nice in Belfast as in the rest of the UK and Ireland so the knee high boots are still getting an airing or two. Hope you enjoyed my belt montage. Any ideas for my next one? 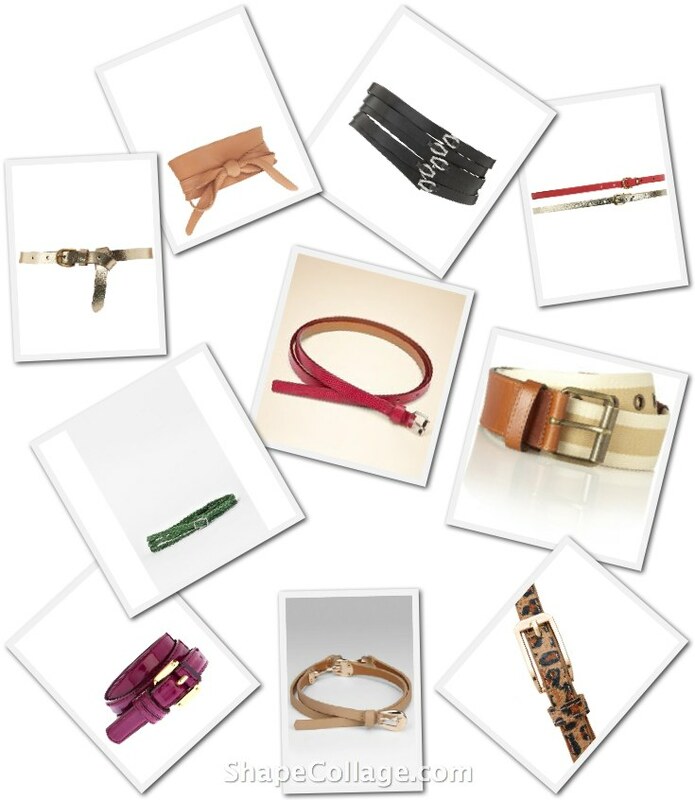 I love how belts can add a pulled together look to any outfit! Great choices here! Loving the tan obi from Asos!Hope the emergency was sorted! !